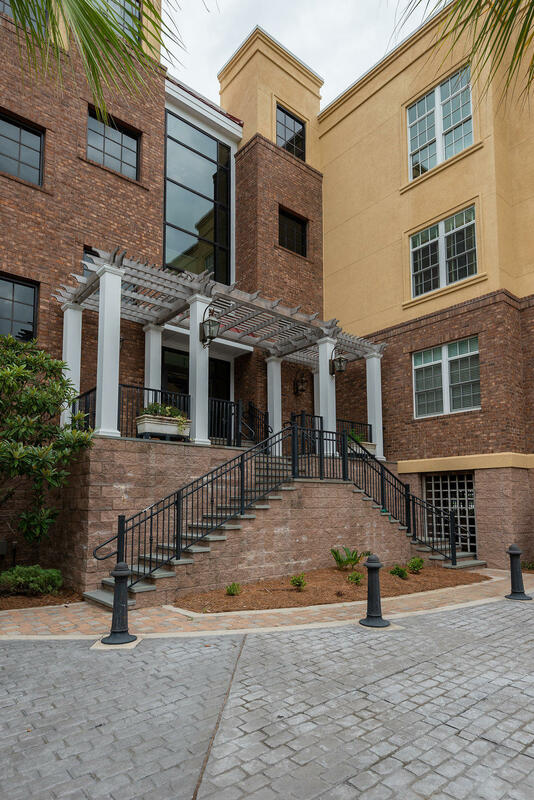 This must see to believe TOP FLOOR waterfront Condo on the Wando River with deeded 50 ft. deep-water dock is walking distance from all that Daniel Island has to offer! As you enter you will notice the open floor plan, Brazilian cherry floors, impressive 12 foot ceilings and luxurious trim work. Gourmet kitchen has Viking appliances including refrigerator, freezer, 6 burner gas stove, microwave, warming drawer, dishwasher, compactor, wine fridge, butler pantry and beautiful custom copper sink. Master Bedroom has large walk-in closet with built-in shelves & drawers, Jacuzzi tub, and walk in multi-faucet shower. Other 2 bedrooms have en-suite bathrooms, large walk-in closets. Porches with stunning views off Living, Master and Guest Bedroom that you have to see to believe.